Seems that Sky reckon the Bees have paid around £200,000 for the 20 year old 6ft 3ins 85 kg defender from Blackburn Rovers.He has had two loan spells with League One side Rochdale this season, making 20 appearances and scoring three goals.His only appearance for Blackburn was the Capital One cup defeat by Scunthorpe in August. 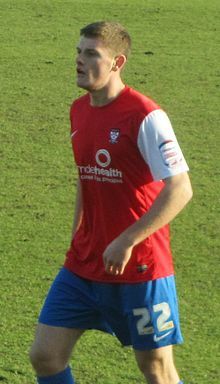 Other loan spells have been at Rotherham and York. He has also been capped at England under 18 and under 19 level. In total he has made 59 league appearances in his career before the 2014-15 season. This season in 20 appearances in all competitions at Rochdale he has scored 3 goals, the first of his career with only 2 yellow cards. In the 2013-14 season he played 45 games, with 4 yellow cards and 1 red card. And in 2012-13 in 23 games he had only 2 yellow cards. So in 88 games as a central defender he has only had 9 yellow/red cards, an impressive statistic. Blackburn Rovers signed Jack O’Connell in the summer of 2011-12.He went on to make 35 appearances for the Academy and Reserves sides in an outstanding first year that saw him play a key role as Rovers reached the final of both the FA Youth Cup and the Academy League. Then headed out on loan to Rotherham, York and Rochdale.